Commentary: The Shadows of the Empire story was an interesting one, particularly its development. At one point it was to take place between the first two films of the original trilogy, and then it was moved-- so now Han Solo was frozen. Enter Dash Rendar, a generic meatless off-the-shelf gluten-free Han Solo substitute. The fairly unmemorable character had a design that seemed very much of the 1990s by way of the 1980s, with lots of padding and huge guns. 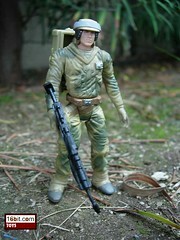 The giant gun pack wasn't particularly true to any of the licensed story tie-ins, and the character's head for Kenner's figure didn't really look like any of the other versions, either. He often appeared with bare arms, and this action figure was fully enclosed. The character is so much like Han Solo that Kenner sculpted him in a nearly identical pose to its then-current action figure of the original Corellian smuggler, and Dash also sported the same difficulty standing that Han had. It's pretty amazing when you go back and look at it. Dash has six points of articulation, and none of his parts have been reused to create other figures. Collector's Notes: To date, Dash Rendar has been released exactly once, but his poor sales kept him on pegs for a while. Xizor sold fare more poorly. He's the one and only, so unless Hasbro announces a new Dash Rendar soon (which is seemingly less likely with the future of comic packs in question), you'd better go after the original. On eBay, he sells for $1-$3. An update of this character is frequently requested by fans, particularly by those that grew up as part of the Nintendo 64 generation. The Shadows of the Empire video game resonated strongly with numerous fans from that era. Commentary: There are so few versions of core original trilogy characters left to do that it's something of a stunner when Hasbro cranks out something new like Luke Skywalker Medical Frigate. This release is based from a very brief scene at the end of The Empire Strikes Back in which Luke gets a new robotic arm, or it foreshadows a potential descent into the footsteps of his father. Take your pick. The figure itself is a modified version of the 2004 Vintage Original Trilogy Collection release, best known for being able to remove its tunic and having exceptional articulation. Hasbro also resculpted the head, legs, and right arm to make the hand into a fist and to have open panels revealing the wiring inside. It's cool stuff. Luke now has lateral leg movement, and aside from that, qualifies as super-articulated. There are two waist joints, and the added robes do a fine job of covering up these fleshy joints. Unfortunately, the robes are a little bulky so it's entirely possible that you won't like the look and feel provided by the soft goods garment, although I can't say a plastic one would have looked any better. This version of the young Skywalker is one of the best Lukes you can buy-- the head sculpt is pretty good, the accessories are abundant, and the articulation is better than pretty much every release Hasbro has ever done. No Jedi Knight or Hoth Luke has ever received lateral leg movement, and now we've got a massive number of joints for a figure who can only sit and stand. This was done to save on tooling, of course, but one has to wonder if Hasbro already has super-ultimate versions of other Lukes down the road given some of its more recent releases were a little lacking in some areas. One odd thing about this figure, in terms of continuity, is the lightsaber. Luke comes with the weapon he lost when his hand got sliced off, rather than the one he would go on to build in Shadows of the Empire or the deleted (and most likely unfilmed) scene from Return of the Jedi... but it does appear in the Radio Drama. Anyway, I digress-- it's weird to have the blue lightsaber. 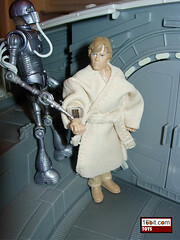 This Luke figure a pretty great addition to your toy box as it's the only medical Luke you can buy from Hasbro. Thankfully, it's so well done you probably won't ever want a better release. Kudos for getting it right the first time. Collector's Notes: Currently, this figure is a one-timer. Due to rotten distribution since its initial release, they still trickle out at a variety of retailers. Some stores are even receiving new stock at clearance prices, so watch your scanners. A rerelease is not expected, but old stock can take a while to get out there. Commentary: Hasbro's direction in 2003 with Clone Wars was pretty open-ended. Some of the figures were based on existing designs, while others were Hasbro making new versions and telling their own stories outside the comics, novels, animation, and games. 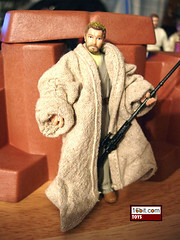 Obi-Wan Kenobi took a modified version of the character as seen in Attack of the Clones and added some pockets to his shirt, some added dirt, and slightly more sturdy looking boots. A removable harness was added, as was a backpack which gave the figure a slightly more commando-ish look to it. After all, you need survival gear on the front, right? The figure itself is about par for the course for its era. You get the basic six points of articulation we've all been used to for so long, plus some swivel elbows were added for good measure. The design seems fairly good for action-oriented stuff, but like most of the Kenner and Hasbro team's original designs these were phased out of future Clone Wars-inspired stories and collectibles. Which is a shame because I thought the pockets were pretty cool. Today, the figure shows many signs of age such as overly pale facial hair and pin-headdedness, so one could say that it didn't age especially well. 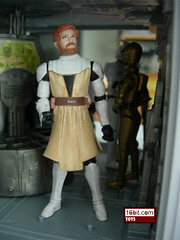 (The same can be said of most Obi-Wan figures from 2002-2004.) As a toy, though, it's pretty neat because Hasbro did get a limited opportunity to create something new, and while I do wish they were allowed to go a little crazier with the design it does fit with the look and feel of the movies. Collector's Notes: A nearly identical rerelease of this figure was sold around 2007 in the Battle of Geonosis Battle Pack. As the set has no new characters and changes on the others are very slight, either release should be suitable for any loose collector's needs. 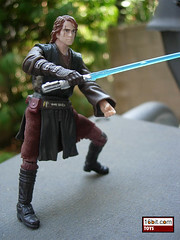 The mold was reused to make an Order 66 Obi-Wan Kenobi figure for Target in 2008. Commentary: While the big $100 AT-AT came with a single driver, Kenner decided that it would be a good idea to sell an individual version of the AT-AT Driver in stores. Due to the ginormous amount of SKUs being sold at the end of 1998, the figure instead went to the Official Star Wars Fan Club as an exclusive. This release was modified from the vehicle pack-in. For starters, he's shorter. Rather than having his limbs straight like the pack-in (and vintage) releases, this version has his legs and arms bent very slightly. The sculpt itself appears nearly identical to the pack-in version, and unless you had the two side-by-side odds are you would easily mistake one for the other. The differences are extremely subtle. Collector's Notes: In the USA, this figure, the Death Star Droid, Hoth Princess Leia, and Pote Snitkin were sold as fairly expensive Fan Club exclusives. Internationally, they were standard releases. Commentary: Rarely did Hasbro or Kenner nail it on the first try, but this Pit Droid was pretty much perfect right out the gate. While the pose was a little stiff, it was exactly what fans were asking for in those days, plus he had a ball-jointed head, which was fairly new in 1999. This little guy was the ideal Pit Droid mold, as he could stand, sit, or be gripped by the neck if another figure got angry with him. The coloring was a little pale, but the saucer-shaped head and spindly little limbs were just perfect recreations of what we saw in the movie. Short of enhanced articulation, which Hasbro has not gone back and done yet, this little guy is about as good as we've ever got. Subsequent Pit Droids were posed with their arms and legs at various angles, but the articulation never improved beyond this, the very first release. At the risk of making this a boring review, Hasbro pretty much got it right-- so this one is totally worth buying. The figure also comes with the only release of Gasgano as an action figure, and that release also turned out very well for 1999. 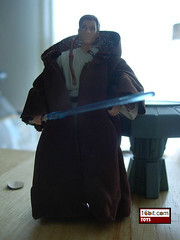 Collector's Notes: A one-time release, this figure was widely available in 1999 and in some stores, 2000 as part of the insanity that was Episode I. Word from retailers was that Hasbro and Lucasfilm both prodded stores across the board to up their orders on everything because whatever they ordered wouldn't be enough-- and it seemed in some locations, this turned out to be true. While some have dismissed figures in that line for being old or worthless, several of them are genuinely excellent toys with this duo leading the pack. Be sure to score it if you have the means, as the figure set goes for about $1-$3 on eBay. I'd suggest picking up a collection (or "lot") of carded figures from that era as they tend to go cheap and there's quite a few gems in there, like the first Darth Sidious figure, Chancellor Valorum, Nute Gunray, and Rune Haako. (It's worth noting that most of the gems come in "Collection 2" and "Collection 3.") 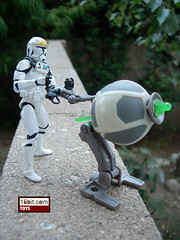 Hasbro will never make a better Pit Droid at this rate, so go ahead and spring for the original-- it's well worth it. Image: Adam's TV tray. 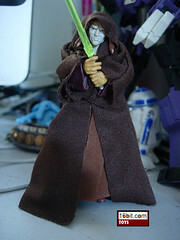 Version pictured is the Jedi vs. Darth Sidious Battle Pack release, which was the first with the cloth robes accessory. Commentary: Arguably the best Jedi figure out of Hasbro's 2005 lineup, this amazing Saesee Tiin has been in circulation for quite some time. While the initial release lacked the cloak, this figure really worked well with the added garment packaged with later releases. If you're going to just get one of the releases, I do suggest you get the cloak because, as seen here, it actually wraps around his head nicely with his horns holding the hood in place. Unlike other figures, where the hood just sort of sits there awkwardly. The figure itself is pretty close to perfection. While some fans may cry about the lack of ball-jointed elbows, or any ankle joints, Tiin pretty much has everything else more than taken care of. He can sit easily because Hasbro engineered a cloth lower body, his knees bend just fine, and he has no problem being posed in most battle-ready positions. The head can look around nicely, the detail in his garments is sculpted on par with anything you might see in stores today, and the deco is excellent. There's a good reason Hasbro kept this one in circulation over the past few years-- it's some of their finest work. If Hasbro ever does go back and redo it, which history says they probably will, I would expect a lightsaber that can attach to the belt and some added articulation in the arms and legs. Perhaps some coloring may change slightly, but as it is this is one of the better Jedi Knights to come out of the Revenge of the Sith line, which was packed with some of the best Jedi figures ever seen before or since. This is a figure you should absolutely make sure is in your collection, even if it is rather common with all the reissues. Hasbro deserves a big pat on the back for this one. Collector's Notes: This figure has been kept in circulation since 2005, appearing in the many incarnations of Saga Legends as well as in Battle Packs. The 2005 release includes a display stand, other releases include a cloth cloak (pictured) and sometimes a bonus accessory like a coin or a box of weaponry. COMMANDER GREE Firing Missile Launcher! Commentary: Not one to waste time, Hasbro cranked out an animated version of Commander Gree early in the line's second year. 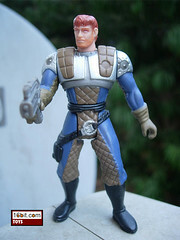 The figure is based largely on Hasbro's normal Clone Trooper mold, except it has a removable helmet with a new head and a retooled belt with a pistol holster. Oh, and significantly new decoration. The most notable thing about this figure is its head. With two mohawks, Gree is at least twice as cool as Mr. T. (Well, that's a tall order. Let's say his hair is twice as cool as Mr. T's.) The helmet fits on with no real problems, it isn't blatantly obvious that the head or helmet has been resized to fit the action feature. His firing rocket shoots fairly well, and is the same over-the-shoulder design we're seeing with Thire and other recently released Clone Trooper figures. The armor has been heavily decorated with green, giving the figure a distinctive look which goes well with the other animated green Clones you may have purchased. Given his high marks in articulation, excellent array of accessories, and awesome head sculpt, this is one of my absolute favorite animated figures so far. 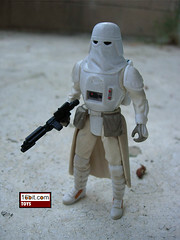 It's well worth shelling out for, even if you already have a sea of white armored troopers. Collector's Notes: To date, this is the first (and only) animated release of this charcter. It's a safe bet there will be more some day. Like many figures of its day, this release is not perfect, but fairly good. We've since received other super-articulated figures but the first basic release still holds up well in that it's a solid figure that holds together well under rough play. Back when it was first released, numerous fans on forums and Usenet expressed severe distaste at what was called a significant amount of dirt or damage. Looking at it today, it's tough to see where exactly the problem comes from because the figure doesn't really seem all that filthy. The sculpted bits look great, and the armor essentially matches the movie fairly well. With so many improved versions, this one has fallen out of favor, but if you're needing soldiers for massive dioramas this is an excellent and fairly cheap way to pack out the snowy plains on a budget. Collector's Notes: The same mold was repainted in 1998 for the Toys "R" Us exclusive Millennium Minted Coin line. 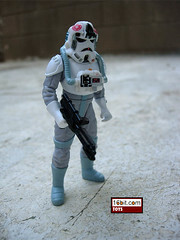 Parts of this figure were used in 2006 to make another basic carded Snowtrooper figure. The 1997 version was so abundant that around the end of 1998 it was actually possible to get an entire shopping cart full of them for $1 per figure-- and yes, I speak from experience. The figure was repackaged in 1998 with a Freeze Frame Action Slide, which did not provide fans with much (or any) action. Commentary: After ten years, Hasbro made Obi-Wan Kenobi with the kind of super-articulation you might come to expect-- mostly. Unlike his EpII (2009( and EpIII (2008) cousins, this figure does not have lateral hip movement. He does, however, have a great range of movement and a lightsaber accessory that, thankfully, isn't the pre-2002 pre-flare mold anymore. The head sculpt is closer to Ewan McGregor's, but is not perfect-- but hey, at this size, that's normal. Hasbro has pushed what "standard" is for their figures, and as such Kenobi has a hard time impressing simply because what was astonishing for 2005 is basically normal today. It's a great figure, but when it gets to its current level of goodness, there's not much for Hasbro to do in order to go beyond and be even more impressive. For a Jedi-in-training, the figure basically nails the look and feel of a figure for today. Considering the last truly new sculpting work on this character nearly eight years ago, this newly-sculpted version is a welcome addition to pretty much any collection. If there's one area where this figure disappoints, it's accessories. The Episode IV Obi-Wan had a huge freaking table and holographic Princess Leia. The Episode II version had a communicator. This one doesn't have much special. A lightsaber and cloak are about as bare as you can get, a communicator would have been nice. A variant "wet" head for the diving bit in Naboo would be awesome, but let's not get crazy here. Collector's Notes: This figure is a brand new sculpt, and was originally created to be sold as part of a never-released Obi-Wan Kenobi Evolutions boxed set. Commentary: For some reason Hasbro didn't quite get the cash cow that was the Clone Trooper until about 2005. The Attack of the Clones and early Clone Wars figures were starved in supply, and often discontinued quickly. Fans were eager to buy tons of them, but they simply were not available in sufficient quantities. This pilot may be one of the two best (for its time) and hardest to get, too. 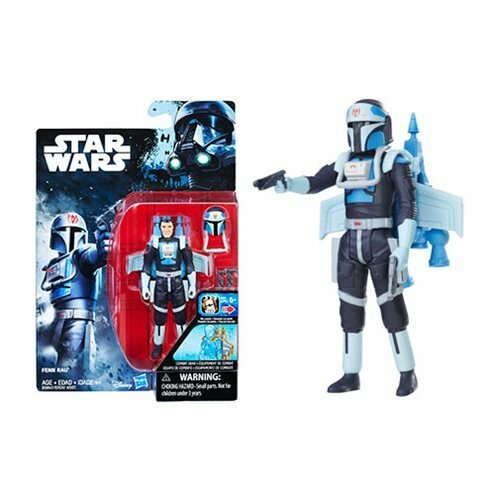 The figure is essentially a basic Clone body with a new head and black specks on it. With limited articulation on the arms, the figure is a far cry from the super-articulated figures which would follow but is a pretty excellent release overall, particularly because at the time the figure was designed to sit in the Gunship. With a little manipulation, he will slide right in and lead your troopers to victory. The sculpt isn't too chunky, and it was just about perfect for use with the vehicle. Its gun pod accessory was designed to plug in to the Republic Gunship or be used as a free-standing weapon, as seen in the picture. It's really great to see that Hasbro planned this item out so well, which is one of the reasons it was a real pain in the neck that the company didn't continue shipping the figure in 2003 or beyond. Truly, the figure was too good to be so short-shipped. By today's standards, with the new gun pods, it may not seem as impressive but it still looks great on the old ship and is well worth picking up if you have the means. Be sure to buy two. Collector's Notes: Despite being obscenely popular, Hasbro let this one go away quickly and never reissued it. This mold is a one-timer. The pod accessory is very much in demand from vehicle collectors, as each Republic Gunship can accept two of them. Finally, the figure (like almost all 2002 figures cast in white plastic) has a habit of getting a very bright yellowish green film on it. This film can be wiped off, but you may notice numerous packaged figures which seem to have "yellowed" from this era despite limited to no exposure to light. This is unusual in that this discoloration can rarely be easily removed, but in the case of this figure, it comes off with a little scrubbing. Commentary: If you're going to make a pilot like Arvel Crynyd, it's good to do some research. It's not clear if Hasbro ever did, because there are two very different pilots all bearing the same name. In 1999 Hasbro made an Asian pilot in a red suit with this name. Oops. This version is supposedly the correct one, borrowing the Tycho Celchu body from 2007. The deco has been modified slightly, the head is new, and it's still super-articulated. 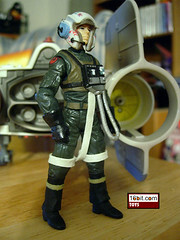 The helmet is a new sculpt, the first-ever Hasbro A-wing pilot mold that looks like the pilot from the movies. That's why this one was particularly exciting, plus the fact that, you know, it's the first time Hasbro did Green Leader as a figure properly. The same body and helmet were reused to make Jake Farrel in 2009, and Arvel's body was originally used to make Tycho Celchu in 2007. If you liked that figure, this one is arguably better plus it includes a ship, so I'd put this down as one of those things you should totally buy for your toy box. The packaged toy looks nice too. Collector's Notes: This ship was still available into 2009 but seems to have since been flushed from most stores. Grab one if you're so inclined, it's the nicest A-Wing sculpt in the modern line plus the landing gear mechanism was cleaned up over previous editions. (The Droids one is still the smoothest, which is no small feat for a toy that's over 20 years old.) The pilot has not been reissued, but there are other very similar figures out there. 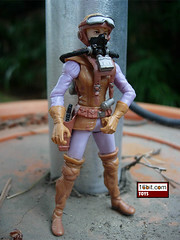 The same body and helmet were used to make Jake Farrell, which has the same mold with a new head and altered deco. For those keeping track, this is the third modern release of the A-wing fighter too. The first was in 1997, another was in 2003. Both were clearanced on the cheap. Image: Adam's back yard. Or Endor. Commentary: History lesson: in early drafts of Star Wars, the characters of Luke and Leia were basically a single entity. The Starkiller Hero (which was known as Luke Starkiller before it was changed, evidence remains on the coin) was something of a weird legend people read about in early making-of books, so it was more than a little surprising to see it come to pass in plastic. As the drafts of the script were revised, "Girl Luke" was no longer needed-- but Ralph McQuarrie drew it before shooting started, so there you go. The figure itself is a mostly super-articulated colorful female character that looks like she could pass for an extra from the Droids cartoon, which is about as high a compliment as you can pay to a toy. While she has no ankles and only swivel elbows, the figure is fairly poseable and looks pretty awesome. The purple body suit goes well with the light brown gloves and vest, and the hat with goggles looks delightfully retro (or club chic ca. 2000, whatever.) She has the McQuarrie-style lightsaber with the fat blade and a nifty little blaster. I like this one a lot, mostly because it's such an odd pick to make her. For an artifact of the 1970s, it's totally '80s. So get one. Collector's Notes: A hot figure in 2007, the Starkiller Hero is getting a straight-up reissue (sans coin) in a shared Toys "R" Us/Diamond exclusive duo of McQuarrie Concept boxed sets. The body parts were not recycled as of yet, but who knows what tomorrow will bring? Commentary: The first modern release of the Endor Rebel Solider is an example of a great toy and, if the stories are true, one of the times Lucas Lucas' camp stepped in and ruined a perfectly good action figure. First, the sculpt is pretty solid and this figure is one of very few action figures in the modern line to feature a molded-on helmet and, for some reason, no chinstrap. The face doesn't seem to be anyone specific but the figure's head sports a fair amount of personality and looks like it might just be based on someone. There's not a lot of detail here-- no facial hair or anything-- but the deco is solid and the came paint is really sweet. A lot of fans griped about this figure looking like a G.I. Joe in 1998, which proves a lot of fans a) don't know anything about G.I. Joe, and b) just want to hear themselves whine. This is a great replica of a movie costume, and sports a unique pose which unfortunately doesn't let him aim his weapon. According to the big book of toy lore, Kenner sculptors initially designed this figure to aim with both arms and Lucasfilm thought it was a bit much at the time, so he's in a more exploring-friendly pose. The two-handed aim would be seen in 2002, and many times in the future. With only six joints, this figure is good for display fodder and he can sit nicely. If there were sensible vehicles for this one, it'd probably be worth picking a bunch up. As it stands, anyone building an Endor diorama would be well-served to buy at least one, perhaps more. The body was used to create a repaint with a new head and removable helmet in late 2006 as part of a Return of the Jedi-themed collector tin. Collector's Notes: Originally released in 1998, the figure was put out in a white box 4-pack as a shared exclusive around 2002. The figures were identical, but they included clear oval plastic stands which a lot of fans really dug. These are actually still available online at certain toy outlets for really cheap. Image: Adam's TV tray, on Jabba's tail. Commentary: There have been 3 modern era Salacious Crumb figures, but this one is the first to have any meaningful articulation. The first two had a little movement in the tail, and that was it. This one has ball-jointed hips, a ball-joint neck, and swivel arms. It's pretty swell. As far as articulation goes on a figure of this size, this is one of Hasbro's more impressive feats. The sculpt is good, but the deco leaves something to be desired. It's kind of funny to complain about this, because if you got a little sidekick figure in the Teenage Mutant Ninja Turtles toy line, not only was it unpainted but it had no articulation too. So here we are, a couple decades later, and the little sidekick rivals the articulation and deco of a 1980s Star Wars figure. How cool is that? The tail is removable, not jointed, so it isn't perfect... but it's the best one so far. This little guy was designed to menace C-3PO, and was packaged with him as a tormentor. The added articulation allows him to sit on Threepio's shoulders and basically tear his eye out, which is pretty horrifying if it were happening to anyone but a robot. As it is, it's freaky. Crumb's pose is a little weird and best suited to this purpose, but with a little futzing you can get him to stand up on Jabba's tail or sit on the platform-- if you have one. (May I suggest the 1983 original or the 1999 cardboard version?) It's a nice figure, and while Hasbro can improve it, considering the C-3PO and coin you got with it, it's an excellent value for the money. Collector's Notes: So far, this mold hasn't been reused or modified so odds are you'll be seeing it again somehow eventually. Perhaps as a pack-in with that Jabba figure which may someday come to pass. Or not. Who knows. For now, get the 2007 issue with the coin, or the 2008 release with the display stand. Commentary: Now that's what I call an upgrade! This Kit Fisto fixes almost all the flaws of previous models save for one-- the ability to sit in his own Jedi Starfighter. But aside from that? Awesome. 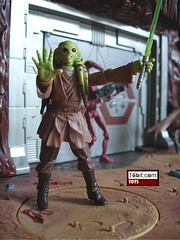 Based on the 2005 Kit Fisto body, this figure is redecorated with a new head sculpt (and a new separate neck sculpt), new hand sculpts, and resculpted legs with ankles. Basically, it's pretty much perfect now and almost a crying shame to waste on an exclusive when Hasbro could probably sell thousands more of these at every store all over the world. It's just that good-- it's worth the $13 just for this one figure. The fact that it comes with a really slick Geonosian Warrior is an added bonus. Almost everything you could want in a Kit Fisto is here. While he doesn't have his trademark smile, he does have a really great resculpted head with hugely improved eye decoration-- the 2005 version was genuinely hideous compared to other Kit Fistos, and this figure manages to paint him just right, without an excess of reddish pink on his head. He's also a much better shade of green, which is a huge plus. Not content to carry over the old hands, Hasbro resculpted his right hand in a "Force push" pose, while his left was totally redesigned to hold a lightsaber. His ball-jointed head-- which is a little loose-- sits on top of a new neck peg, which in theory gives his head two points of articulation but his "hair" gets in the way of a lot of movement. He can still turn slightly, which is certainly good enough with a character that sports such an unusual head design. While there are other Kit Fisto figures which each have unique functions-- like I wouldn't throw out my "swimming" versions for anything-- this is clearly the best overall movie-based Kit Fisto figure. Hasbro did a magnificent job, and while it does still have some of the weirdness of the 2005 release's right knee-- check it out if you get one-- it's still the best Kit Fisto you can buy. So get it while you can! 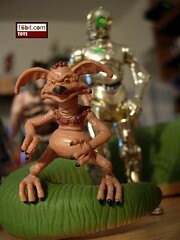 Collector's Notes: The body mold was previously used for Kit Fisto (2005-2008) and Master Sev (2008). The 2-pack is currently exclusive to Target, but I have to assume that Hasbro will reuse this figure again in the future if the opportunity presents itself It's too good to leave a one-time release given the popularity of the character. Commentary: Based largely on the Vintage 2004 release, this Princess Leia is a pretty good update of that figure. Except that she's supposed to be the Medical Frigate Leia, but since we never see her from the front much and her dress is only seen from the back, it's a sensible reuse of existing parts. The legs still have the 2004 copyright date, but the arms and head are new to this release. Numerous fans swapped out their 2004 Leia head with this one, creating a super-articulated and arguably perfect Leia as seen in the original film. The figure is slightly whiter than the 2004 figure, or rather, perhaps a tinge more blue. As Leias go, this is a pretty good one, but since it's from a scene that has little action one has to wonder why Hasbro dropped in a Stormtrooper blaster instead of, say, anything else. The important thing, though, is that this is another Leia outfit crossed off the ol' list of things left for Hasbro to do. And I have to say, I didn't expect to actually see this one, but here we are. 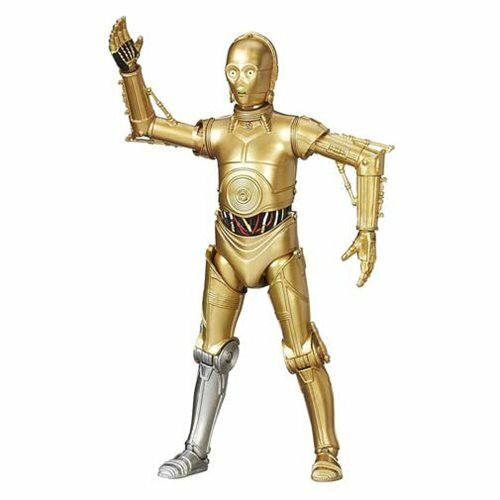 It's a clever reuse of existing parts and a quality figure, the decision on if you need one or not will likely be dictated by your desires for build-a-droids and complete collections. 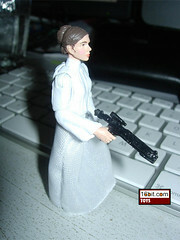 Or if you don't have a Leia figure, this is as good as any. Collector's Notes: This figure seems to be one of the less popular from this series, fans typically report seeing Leia when the others have already sold through. I've seen Wal-Marts selling these as low as $3, if that tells you anything. Commentary: Hasbro's decision to make incremental improvements is simultaneously maddening and fantastic. In some cases, it means that if you're building an army, you get more and better figures as the collection grows. In others, like Darth Vader here, it means you get one more freaking Anakin that renders your previously fantastic Evolutions figure old and cruddy. Hasbro upgrades that 2005 release with a much improved face paint job that's so good, it almost looks like a new head. The other significant change is in the waist area, as the hips of the figure can now swing outward. For whatever reason, Hasbro did not change the swivel elbows to ball-joints, which probably means another upgrade in a few years is likely. My money is on 2011. As Anakin/Vader figures go, this is as good as they get. You will not find a better one, the deco is sharp, the articulation is 14 points and nearly perfect, and the cloth around his legs hide the extra clunk of the new joints. If you're from the future and can buy a better figure, you should-- but if this is still the best of them, well, get it. It's going to be worth less than ten bucks, and it's totally worth it. The added scar adds to it, and the improved eye deco makes a big difference. He may be a hair too pale, but the overall result is still easily worth your time until Hasbro decides basic figures should retail for $10 and upgrades them accordingly. Again, my money is on 2011. Collector's Notes: This figure is still in circulation on the Saga Legends packaging. The figure was sold in the blue and white 2008 style and the 2009 orange and white style. Presumably, it'll be on whatever comes next too. If you want one, it's not going to be hard to get. Prior to the figure's release, Hasbro contemplated adding in a Mustafar lava duel accessory-- either a droid or a platform, depending on who you ask-- which was pulled out and sold separately as a seemingly successful carded figure. Commentary: It's rare that a figure's mere existence makes me happy, but BL-17 does it. It's a character from Droids! Wow! The animated series aired in 1985, and this is a "realistic" figure derived from the cartoon, but there was totally a BL-17 on the show in slightly different colors. (Makes you wonder why the Boba Fett kept his cartoon colors, no?) The Droids series takes place in the nebulous "after Revenge of the Sith/before A New Hope" timeframe where the Empire is running wild and the Alderaan space force lost track of R2-D2 and C-3PO. It's awesome. Particularly the first four episodes, from which this figure is derived. So yeah, this is totally Boba Fett's droid. If that doesn't get you excited, well, it's green. 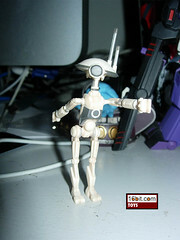 The figure's arms and legs are recycled from the 2007 4-LOM, but the head and torso are new. For whatever reason, there's no waist joint, and the head can only swivel. The coloring matches his later "realistic" redesign nicely, but this leaves the door open for a repaint in the cartoon colors. It's a stiff droid, but hey-- it's something from the Droids series. That's why I ran out and bought one, I suggest you do the same. It's not like we're exactly drowning in protocol droids this year. Collector's Notes: A fast seller, this figure was one of several packs sold as a Wal-Mart exclusive. The companion Boba Fett figure was initially announced as a repaint of the Animated-style body, but ended up being a reissue of the Animated-style figure with movie-style accessories. Because of this, we will not be reviewing Boba Fett as a separate/new figure. This set has seemingly sold through at Wal-Marts in many markets, so good luck finding one. Commentary: Repaints are a fact of life in this toy line, so it's good that at times, Hasbro manages to come up with something really clever like this Clone Trooper (Hawkbat Battalion) figure from 2007. 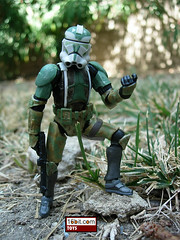 The plastic figure is a recycled 2005 Clone Trooper from the popular Evolutions packs, repainted with mud and rain and missing the stripe on the helmet that makes it look closer to its cartoon appearance. 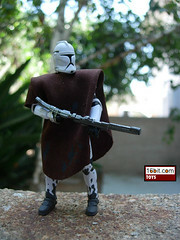 An added cloth poncho-- with appropriate mud-- was added to match the brief appearance of these troopers from the original cartoon. So hey, new accessory + new deco = new trooper. The articulation is the same as the previous releases, which is to say, 13 points. It's a super articulated figure if you can get past the decision to leave off a waist joint for reasons that aren't remotely clear. Aside from that, it's pretty fantastic-- a removable helmet is a nice addition, the muddy "pants" are a great touch, and silver thinner Evolutions-style rifle is a great addition. If you aren't already a fanatic for Clones, this figure isn't going to convert you, but you gotta admit it looks a lot cooler than a basic white armored trooper. The poncho is easily removed, so you can just use him as a regular trooper. Collector's Notes: Hasbro shipped this figure with a coin in 2007. In 2008, it included a stand. This body has been used to make multiple Clone Trooper figures. 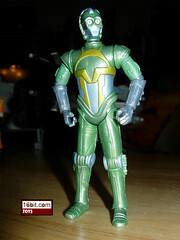 Also, this was the only basic carded Clone in the 30th Anniversary Collection with the full Phase 1 armor. 2007 was a light year for mainline Clones. OBI-WAN KENOBI Firing Jet Backpack! Image: In a Turbo Tank. 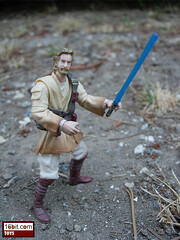 Commentary: The first CG animated incarnation of Obi-Wan Kenobi as a toy turned out pretty well, all things considered. While it lacked knee and ankle articulation, the sculpt pretty accurately carries the costume from the TV show to the toy line. The head, however, seems more squat and slightly off-model. His TV beard seems pointier, and he has a little more forehead. Aside from the fact that the head isn't perfect-- which you can cover up by throwing on the helmet noggin-- this turned out fairly well. The unique combination of fallen trooper armor and Jedi robes turns out quite well here, taking a cue from the animated series that aired from 2003-2005. The costume seems basically on model, bringing it to plastic life with no real problems. A hole has been added to the figure's back so you can plug a backpack into it, making this Jedi Knight just a little bit more like Jango Fett than you might expect. It's a solid idea to add more action to a figure which may or may not be one of the most popular, so good on Hasbro for figuring out the right accessories to make this one sell. It's worth getting if you like the cartoon style, and i do, so grab it if you can at the right price. This seems like it's going to be kinda common in the long run. Collector's Notes: Hasbro wisely has opted to keep this figure in production in the new packaging style, rather than spending money making fifty new versions of Obi-Wan. As such, expect multiple versions of this figure in numerous boxed sets as time goes on. 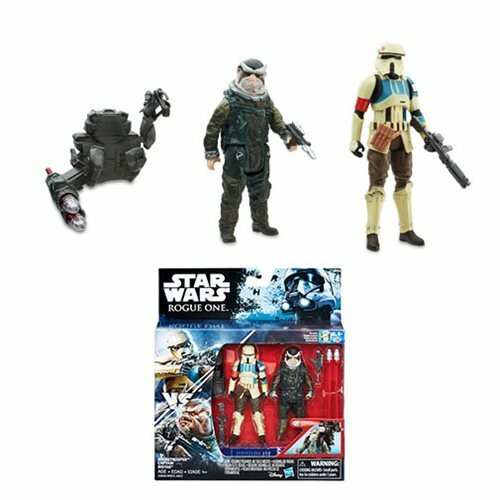 The figure was available, minus the helmet, in a Target exclusive Battle Pack with four 212th Clone Troopers in late 2008. Commentary: When the figure first came out in 2005, fans weren't too pleased and Hasbro went back to the drawing board to make a new Commander Gree. While an improvement, it seems almost as if Hasbro went out of their way to make an inferior figure so they could go back to the well for a third movie incarnation. The sculpt is a significant improvement, but the coloring is still off. The figure is far too yellow, the armor isn't quite grey enough, and the visor doesn't feel right-- this could be due to limitations of the medium, but geez, it'd be nice if it was just right. Is a glossy green visor too much to ask? Collector's Notes: The figure (as a clone) was a strong seller and carried forward into the Legacy Collection, where he shipped for a while. As such, you can find him on at least two styles of basic figure package. 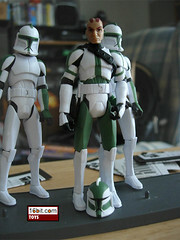 A 2005 Commander Gree was released for the Revenge of the Sith line, and was a repainted Clone Trooper III-41. Commentary: Proof that fans are now asking for things they don't have rather than things they really want, we now have a prequel version of Owen Lars. That's right, Hasbro spent time, money, and resources to make a super-articulated version of a character that basically did nothing in movies a lot of fans claim to not like. But that's neither here nor there, how'd it turn out? OK. Starting with the head, the sculpt is decent, however as I've often pointed out, paint is everything. His beard is just a little too thick, but the real hair to worry about are the frosted tips given to him by Hasbro. They're not so much frosted as green. You can pretty much write a figure off when that happens. The actual costume is pretty good, the super-articulated body looks as if Hasbro could probably reuse it for any of a number of Tatooine natives. The belt is nicely detailed, with holes, pouches, and other odds and ends. As belts go, this is one of the best Hasbro's sculptors ever put out, but unfortunately it's painted all one color so the detail sort of fades away into the plastic. On the bright side, that means that this figure is better than he looks. His pants and shirt are also well done, but lacking in detail. Since the figure is packaged in a giant bath robe, odds are you won't be seeing the plastic garments quite as much. The robe fits, and the texture of the cloth is actually pretty slick, but the problem is that it's far too bulky. It looks like it's too big, and it gets in the way. It does have a decent amount of deco on it, though, which makes up for the squeaky-clean, just-bought-from-Sears quality of the rest of his garments. In short, Hasbro crafted a figure far better than the character deserved. I'm not one to advocate less articulation most of the time, but it seems Hasbro could have saved a few nickels here and put that into developing another figure that could benefit from additional joints. Owen doesn't have much to do other than stand around or stay in his package, so outside of pleasing customizers and the truly picky, it seems that this is a rare case of exceeding the mandate for a figure's quality. ...if you can get past the green hair tips, and I can't. Collector's Notes: At press time, this figure is somewhat difficult to get as retail stores aren't getting a lot of new shipments of Legacy figures. As such, it may prove temporarily hard to find, or you'll need to order it online.